Handy and versatile LED lamp with 2 SMD LED and 1 COB. 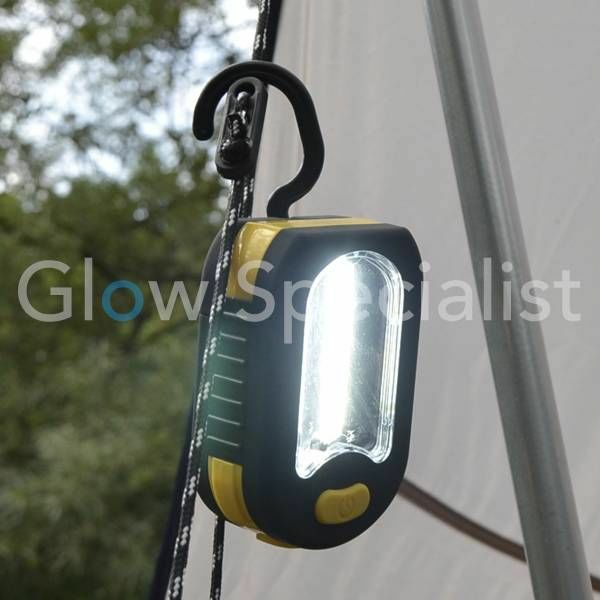 The lamp can be hung almost anywhere thanks to its magnet & hook and has 2 types of light functions. 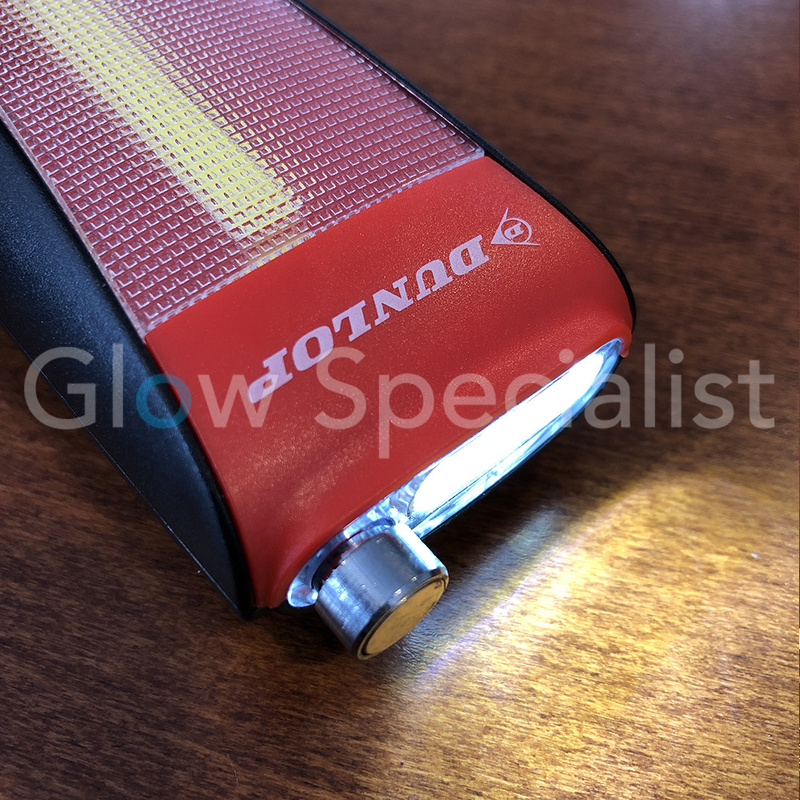 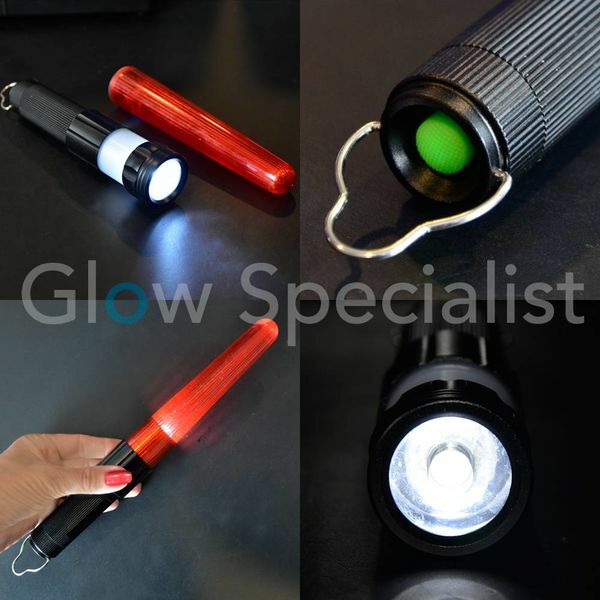 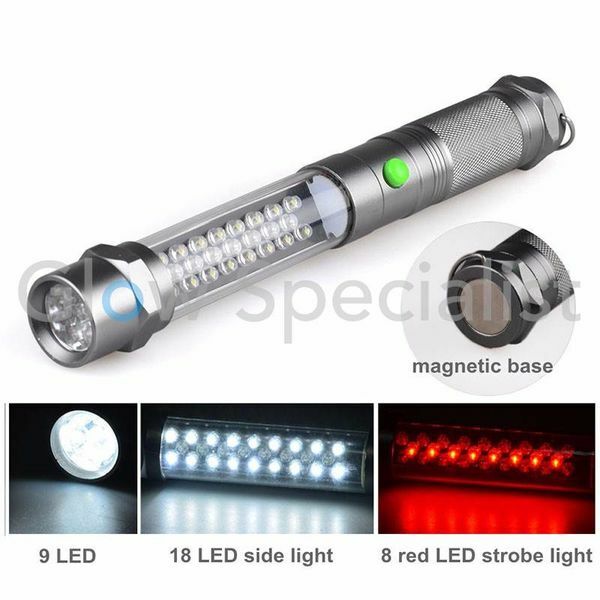 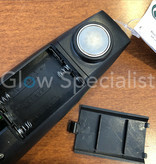 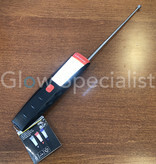 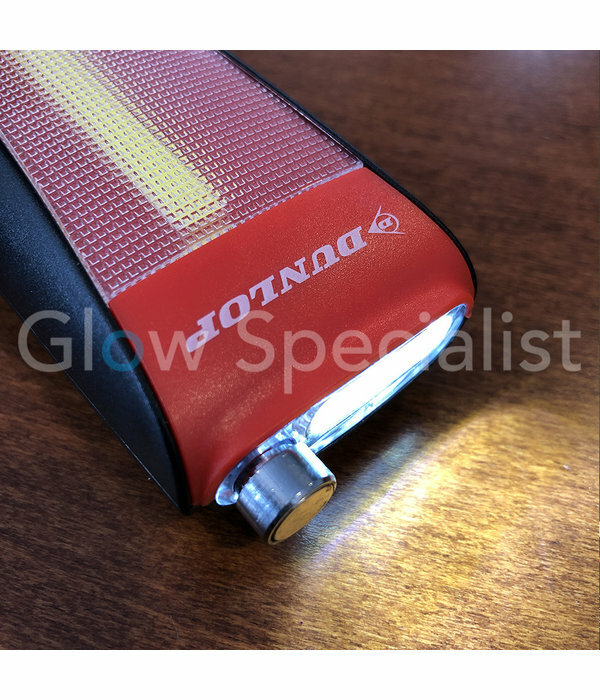 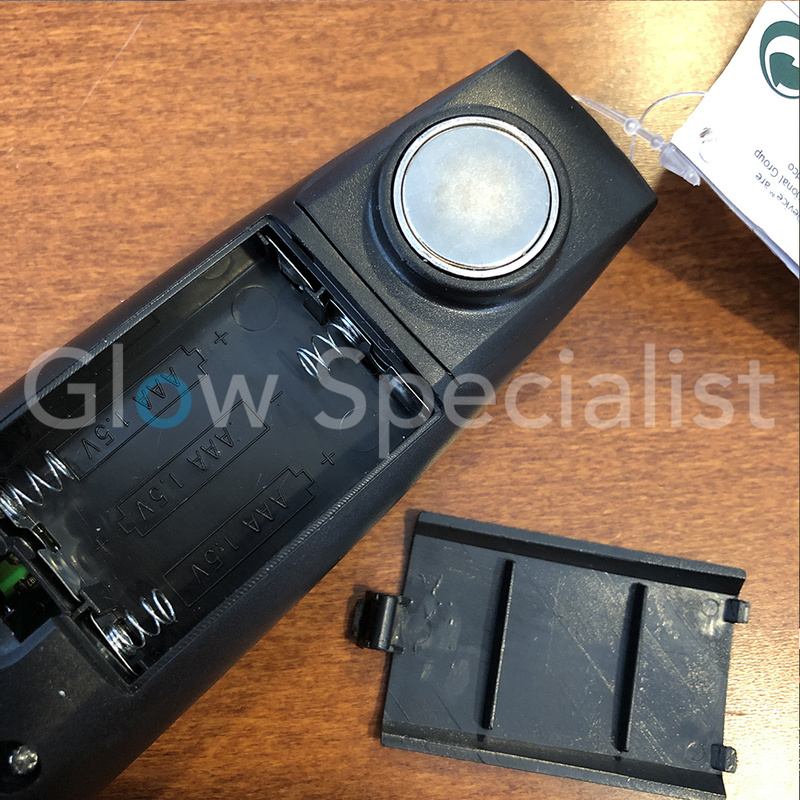 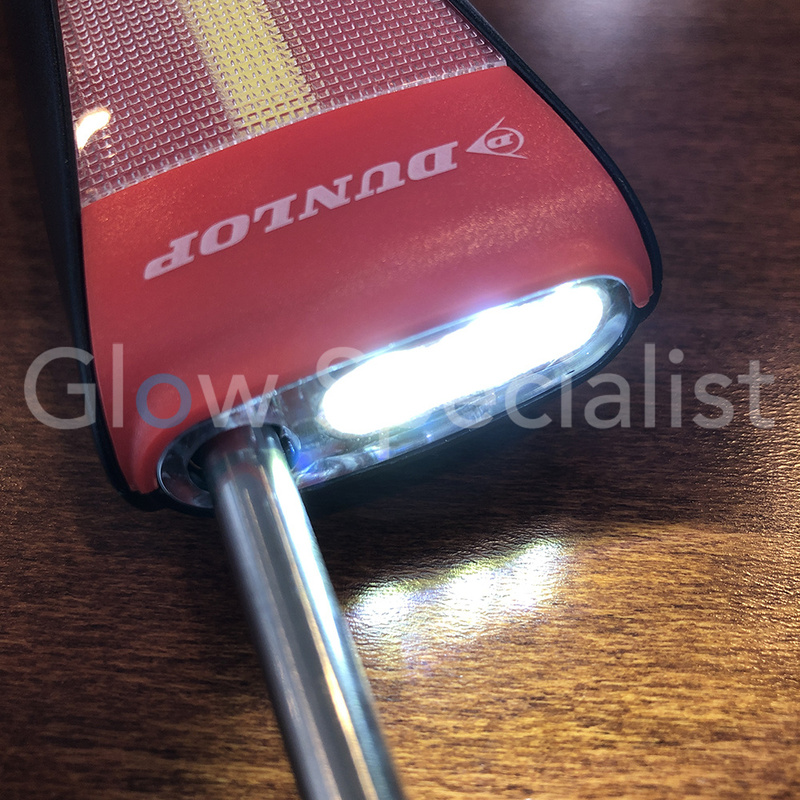 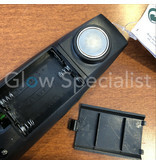 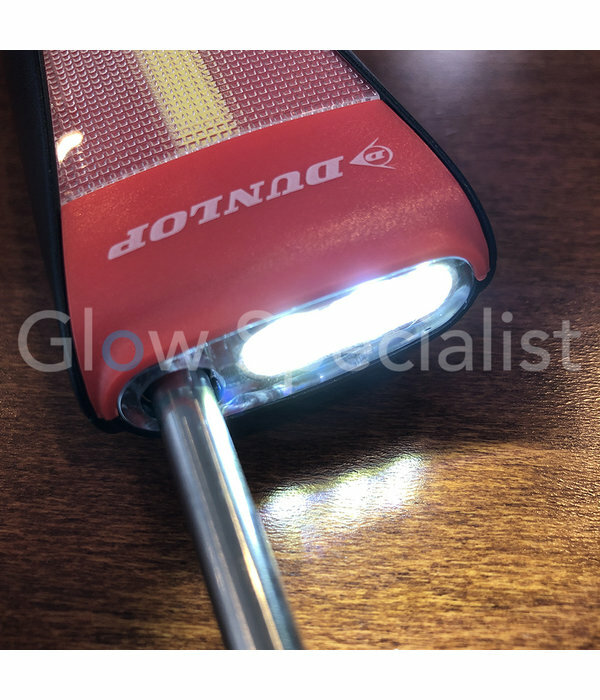 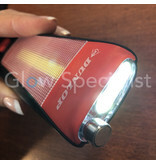 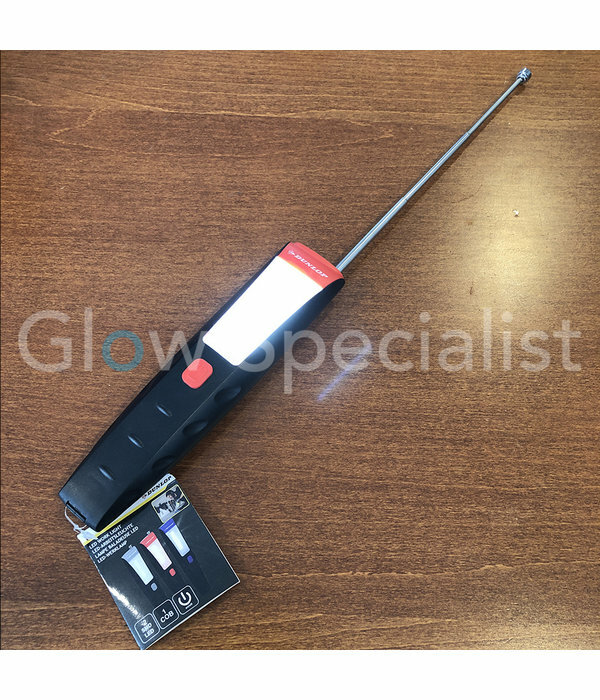 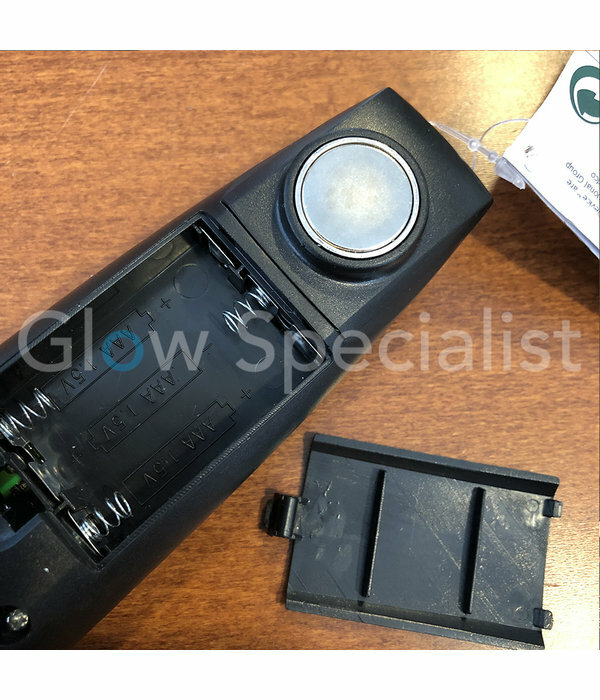 The lamp can be used as a flashlight with the 2 SMD LEDs on the top front, or you can use the strong and clear COB of the main lamp by pressing the on button twice. 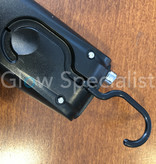 At the rear of the lamp is an integrated magnet for mounting the lamp on metal surfaces. 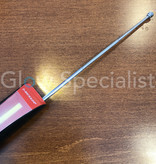 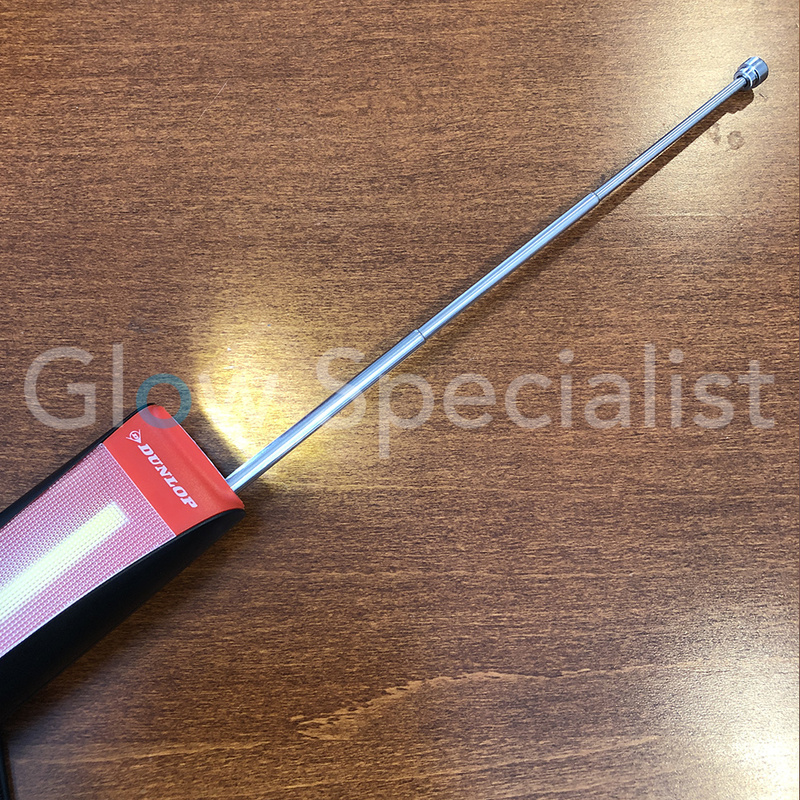 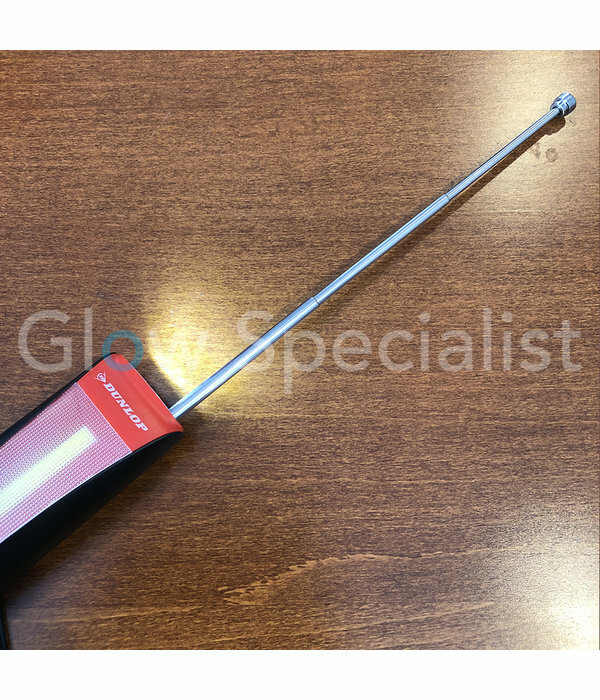 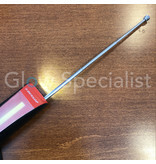 In addition, the lamp has an extendable magnetic antenna which is very handy in hard-to-reach places. 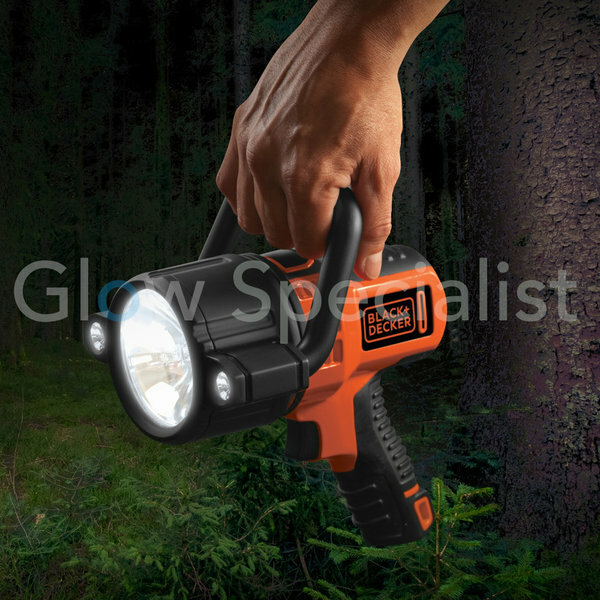 Splash-proof and durable housing made of high-quality plastic. 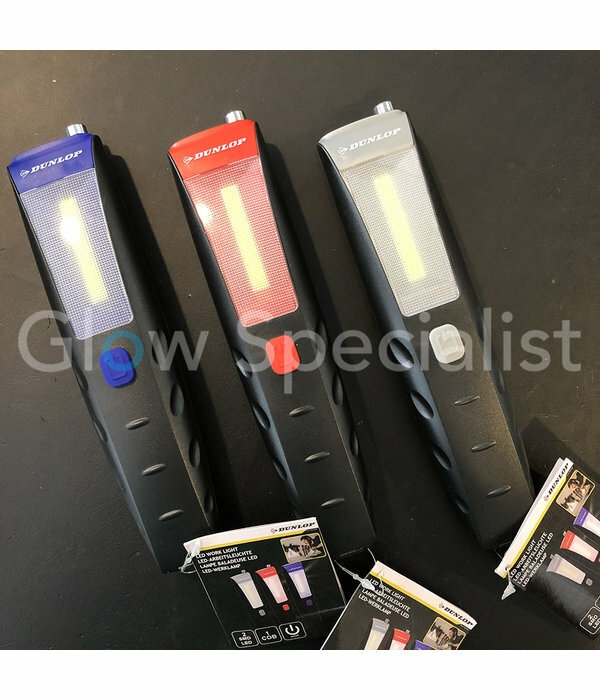 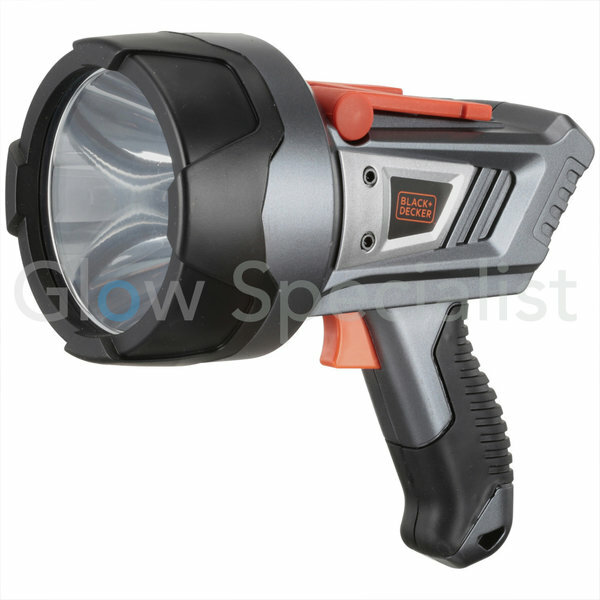 Handy and versatile work lamp, ideal for the garage, on the campsite, in an emergency, in traffic, indoor, outdoor, household, etc. 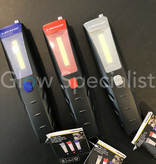 Available in 3 colors: blue, red and gray (the color is supplied randomly). 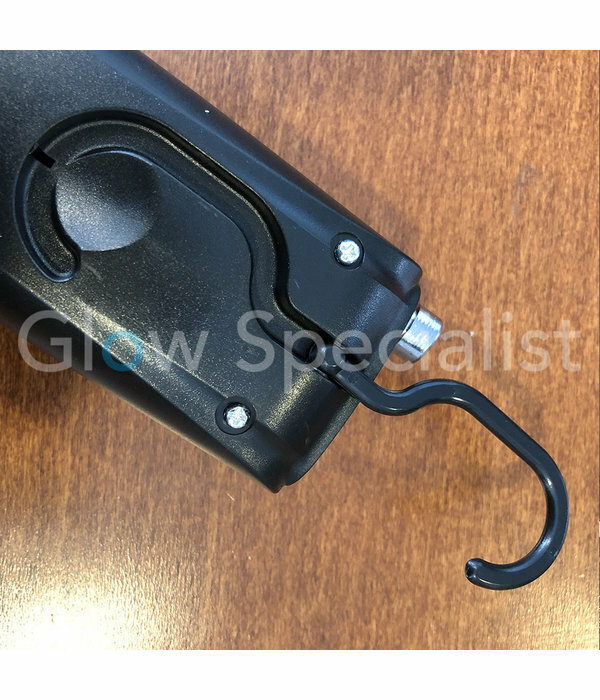 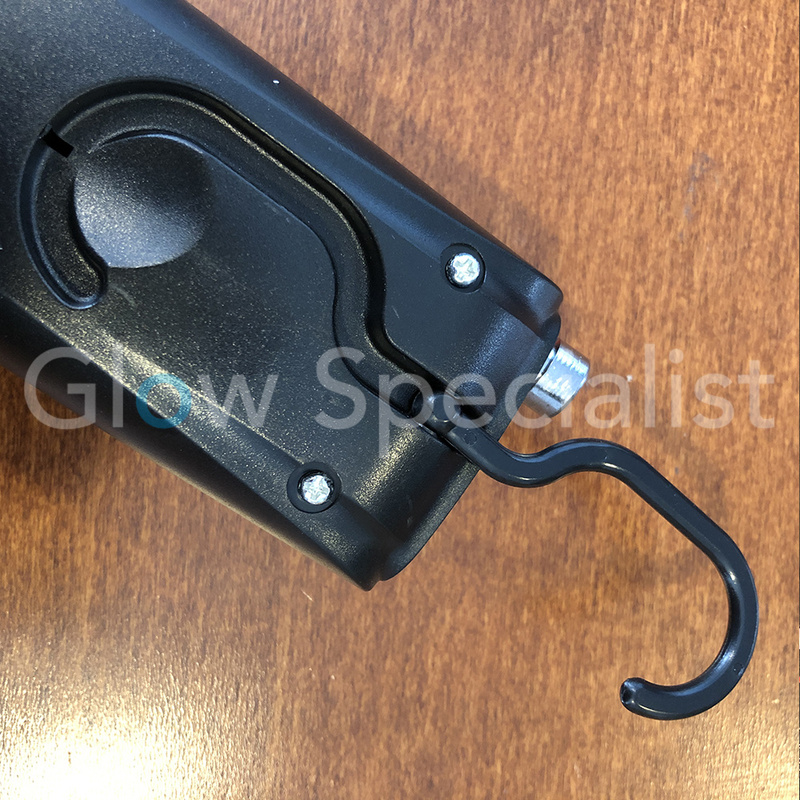 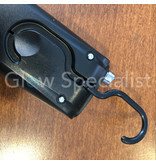 The hook can be rotated 360 ° and is foldable, for example for attachment to a belt loop. 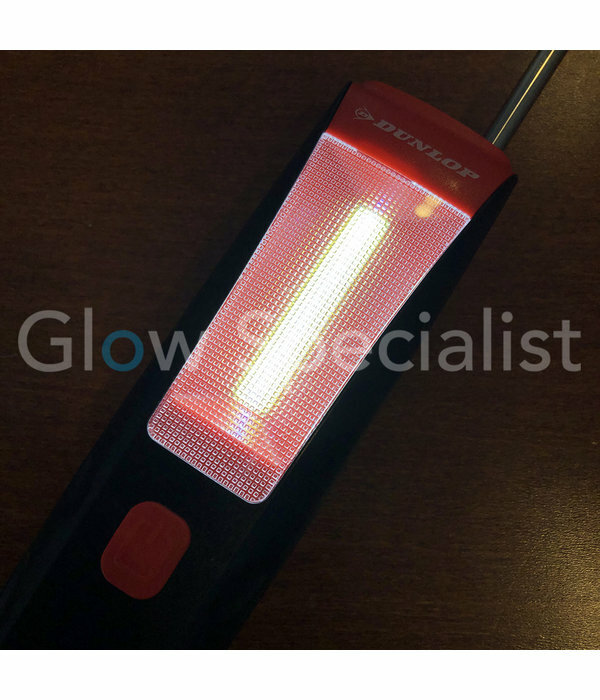 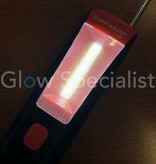 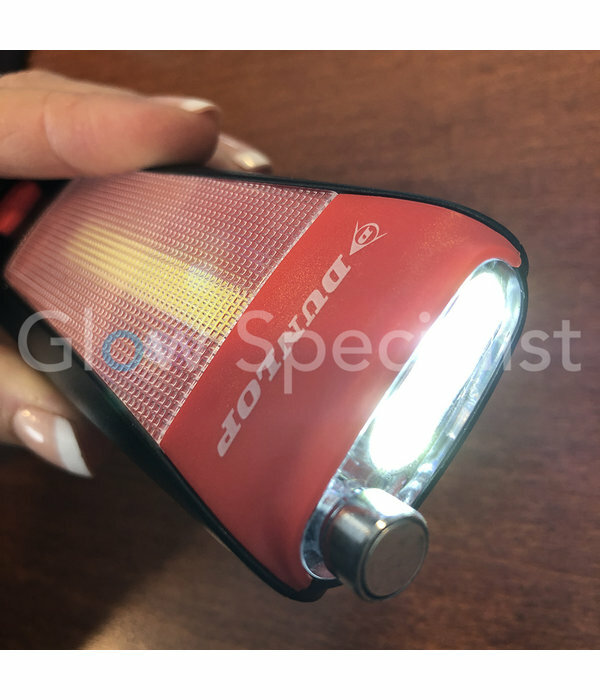 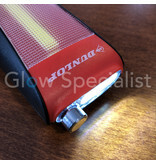 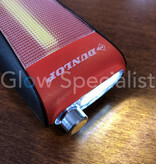 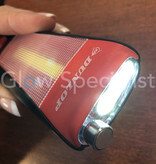 TIP: This flashlight/work lamp comes without batteries, so please order AAA batteries so the flashlight is ready for use.